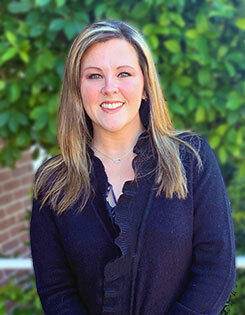 Britt Herrin is the Executive Director of the Tate County Economic Development Foundation in Senatobia, MS. Britt previously was the Executive Director of the North Webster Parish Industrial District in Springhill, Louisiana. Prior to that he served as the Executive Director of the Pike County Economic Development District and Pike County Chamber of Commerce for 2 decades. He is a certified Professional Community and Economic Development Professional (PCED) and a certified Economic Development Finance Professional (EDFP). He also served several terms as President of the Southwest Mississippi Partnership, an alliance between ten counties in Southwest Mississippi formed to promote regional economic development and regional marketing, and was a member of the Board of Directors of the Southwest Mississippi Planning and Development District. Britt has formerly served as President, Vice President, and as a Board Director of the Mississippi Economic Development Council. He has served as a member of the Mississippi Development Authority’s Energy Development Task Force, and Mississippi Department of Employment Security’s Sector Strategy Task Force and was named by Governor Phil Bryant to the Governors’ Tuscaloosa Marine Shale Task Force. He previously served on the Momentum Mississippi and Blueprint Mississippi Task Forces. He also has been a member of the Board of the Mississippi Biomass Council. In 2001, he was honored by the McComb Enterprise Journal newspaper as the Pike County Citizen of the Year. Prior to moving to Pike County in 1995, Britt was the Executive Director of the Sunflower County Economic Development District for eight years, during his tenure Sunflower County attracted ten new industries, who created over 800 new jobs in manufacturing, distribution, and research and development. Britt is a 1986 graduate of the University of Mississippi in Public Administration. He has also graduated from the Economic Development Institute at the University of Oklahoma, the Community Development Institute at the University of Central Arkansas, the Basic Economic Development Course at Georgia Tech, and the International Business Course at University of Southern Mississippi. He is a native of Quitman County, Mississippi, growing up on his family farm near Vance. He graduated from Delta Academy in Marks in 1986. 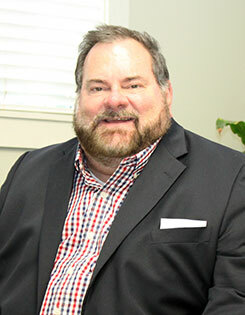 He is currently an active member of the Mississippi Economic Development Council, and the Southern Economic Development Council, and the Ole Miss Alumni Association. He has two daughters, Veronica, 26, a graduate of Millsap’s College, and resident of Jackson, Mississippi and Brittney, 23, a graduate of Southwest Mississippi Community College. When not working, he enjoys golf, fishing, and hunting. Britt is married to Darla Monaco Herrin, a native of Baton Rouge. Britt and Darla have a son, Jack Monaco, 22, a student at University of South Florida in St. Petersburg, Florida. Jamie started with Tate County EDF in 2016 as the first Director of Senatobia Main Street Chamber of Commerce. Since starting her role, Jamie has made it her mission to improve the quality of life for the residents of Tate County. Adding new events each month, offering business training tools to local professionals and improving the look of our downtown are just a few things on Jamie’s accomplishments. Her background in marketing and promotion is helping to shine a bright light on Tate County. Jamie is married to local fireman, Butch Sowell. Together they own Senatobia Ice/Penguin Ice. They have five children. All of their children are very active in sports and school organizations so most of Jamie’s free time is spent as the “taxi driver.” Jamie has been a volunteer cheer coach for 16 years. Jamie loves the outdoors and enjoys new adventures. She has a passion for volunteering and serving the community.